Do you suffer from acute or chronic pain? Relief may be as close as your herb patch. 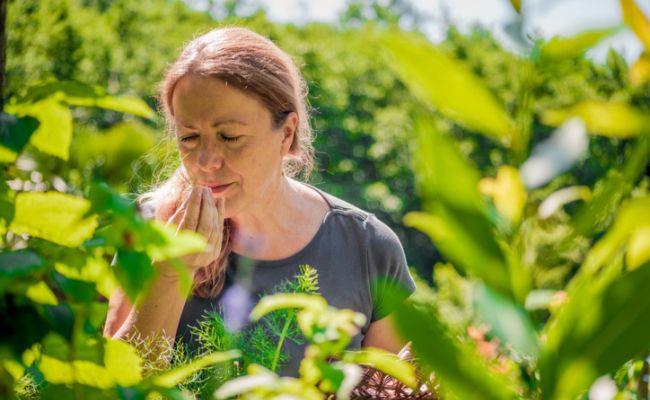 The herbs listed below are proven to help relieve pain, and many of them are easy to grow in an outdoor garden or a container indoors. Consider including one or more of these herbs to your garden this year. And, as always, speak to your doctor or trained herbalist before starting any new herbal routine. Bay leaves have been used for cooking and medicine since ancient times, and bay leaves are reputed to help relieve digestive, muscle and other pains. One study even found that bay leaf essential oil was as effective as morphine for pain control in mice. Bay laurel trees are hardy in areas that don’t receive frost. Outdoors, they can reach up to 60 feet (18 meters) tall, or they can be pruned into smaller shrubs or hedges. They also make great indoor plants if you live in a colder climate. How to Use: You can add fresh or dried bay leaves to your food, brew bay leaf tea, or apply a poultice of either ground bay or bay leaf oil to relieve pain, such as headache, muscle or joint pain. Scientific Name: The two most common varieties of chamomile are German chamomile (Matricaria recutita) and Roman chamomile (Chamaemelum nobile). 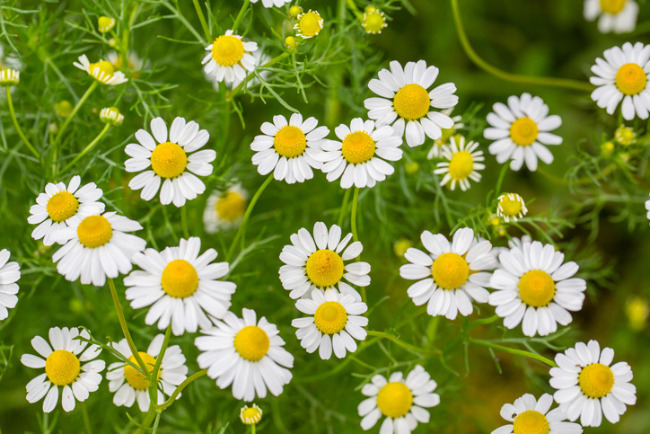 The flowers of both German and Roman chamomile are recognized for their pain-relieving properties. Certain chemical compounds in chamomile penetrate below the skin surface into the deeper skin layers, which researchers suggest may help relieve localized inflammation. Chamomile is very easy to grow. Roman chamomile is a perennial, whereas German chamomile is an annual. But German chamomile will often reseed and come back the next year, so both varieties can be treated like perennials. 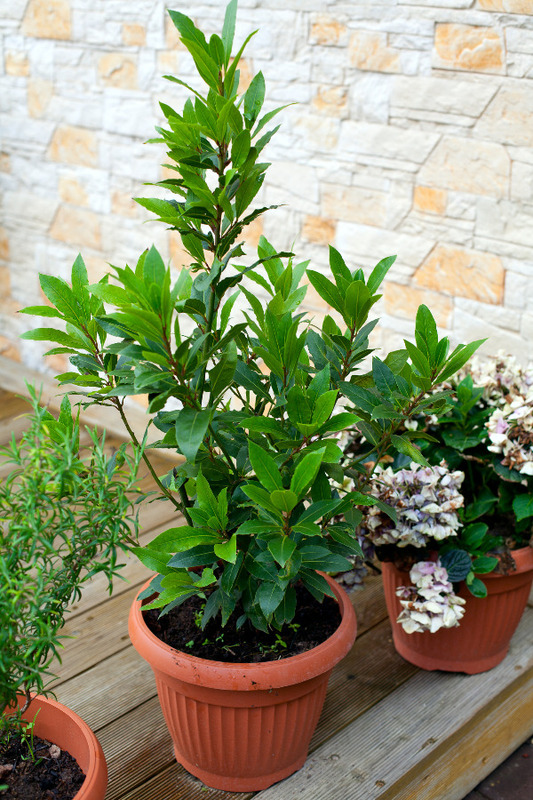 They’re tough plants that grow best in a sunny location without any added fertilizer and minimal water. How to Use: Chamomile tea is a classic way to consume this herb. It can also be applied as a poultice to an inflamed or painful area, or the flowers can be tossed into a salad or other dish as a fresh or dried garnish. Fennel seeds contain 16 analgesic and 27 antispasmodic chemicals, which are known to help with pain relief. The volunteers in one study reported that fennel seed extract reduced their pain levels nearly as much as aspirin. Fennel seed extract has also been found to help menstruation pain. Fennel can be grown as an annual. The fresh bulb is tasty when used as a vegetable. 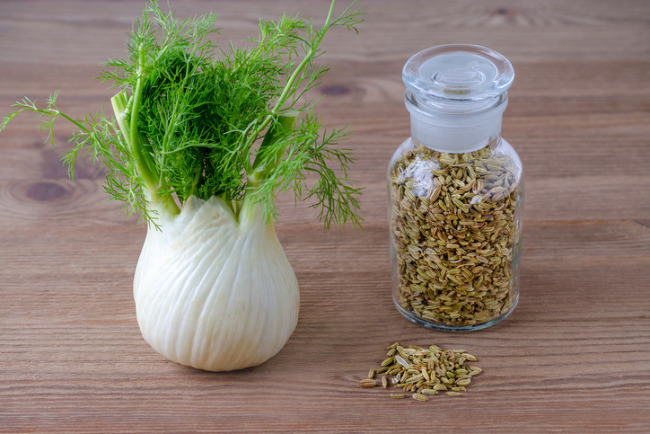 Although, the seeds are primarily used for medicinal purposes, so let some of your fennel plants go to seed and harvest the seeds when mature. How to Use: You can make fennel seed tea, eat the seeds directly, or add them to baking or cooking. It’s recommended to be cautious about consuming fennel if you’re pregnant or nursing because of the herb’s estrogenic activity. Feverfew has long been used for relieving headache and migraine pain, as well as other acute and chronic pain. This is due in part to feverfew’s anti-inflammatory properties. One study found that eating fresh or dried feverfew leaves daily helped prevent migraine headaches. Feverfew is naturally a short-lived perennial, although it reseeds well and can easily establish itself in most gardens. 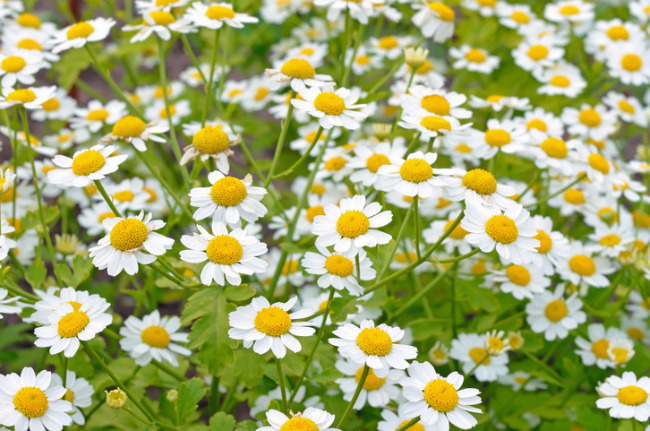 You can start feverfew from seed and grow it indoors, or outside in a sunny location. How to Use: Try adding fresh or dried feverfew leaves to your meals daily for prevention of migraines or other pain. But make sure to add them at the end of cooking because boiling can break down the natural pain-fighting compounds. Brewing tea is fine, as long as you don’t actively boil the tea. Just pour on boiling water and let it sit for a few minutes before drinking. Ginger has been shown to be more effective for pain control than non-steroidal anti-inflammatory drugs, such as Tylenol or Advil. Ginger blocks the formation of inflammatory compounds, and the antioxidants in ginger are able to break down existing inflammation and acidity in your body. 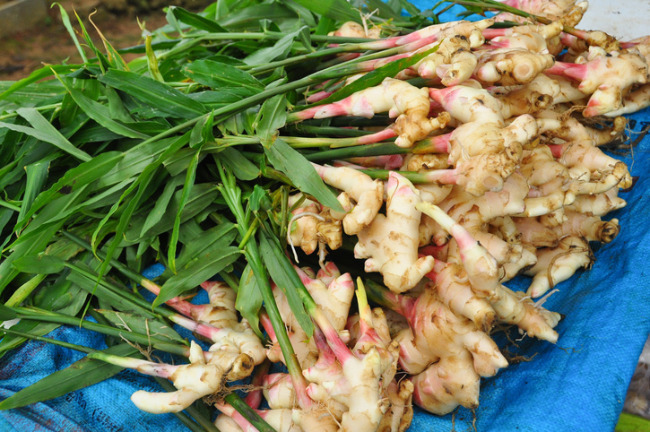 It takes about 8 to 10 months to grow your own crop of ginger, which allows enough time for the roots to grow big enough to harvest. Otherwise, ginger is a fairly easy crop to grow. For more details, check out how to grow your own ginger. How to Use: Ginger root is traditionally added to a variety of curries, sauces and baking. You can also make ginger tea from fresh or dried ginger. Holy basil is a highly valued Ayurvedic herb used for many different ailments, including pain. It’s considered an adaptogen, which is a plant that helps your body adapt to stress. Holy basil is also proven to contain potent antioxidants and anti-inflammatory compounds that can help relieve pain. You can grow holy basil easily from seed as an indoor or outdoor plant. Start the seeds indoors before frost, or plant directly in your garden once the risk of frost has passed. Grow it in a sunny location and regularly pinch off the tips to keep it bushy and prevent flowering. How to Use: Fresh or dried holy basil leaves can be added to meals or tea. Another traditional way of consuming holy basil is to make a tincture. You can take a dropperful of the liquid tincture each day if desired. Many different varieties of lavender have been used medicinally for centuries throughout southern Europe, the Middle East and Asia. 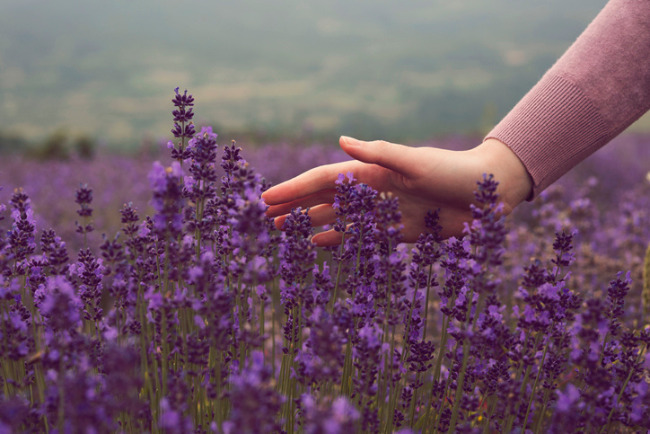 In modern times, research has shown that lavender aromatherapy can provide significant pain relief. For example, research found that inhaling lavender oil dropped on a face mask reduced the demand for opioids and other analgesic drugs in postoperative patients. Lavender is a hardy perennial in UDSA zones 7 and up. It can be grown as an annual or indoor plant in colder climates. It grows well from seed and can tolerate some drought. How to Use: Many studies found that inhaling the scent of lavender was especially helpful for pain relief. You can use lavender essential oil for this, or dry fresh lavender and use it in sachets or hang bunches around your home for the scent. Inhaling lavender tea while you drink it can also be beneficial. Oregano has a few different varieties, but all of them contain anti-inflammatory compounds shown to help reduce pain, including carvacrol and thymol. Research has also found that oregano oil penetrates the skin, so you can rub it on joint and muscle pain for relief. 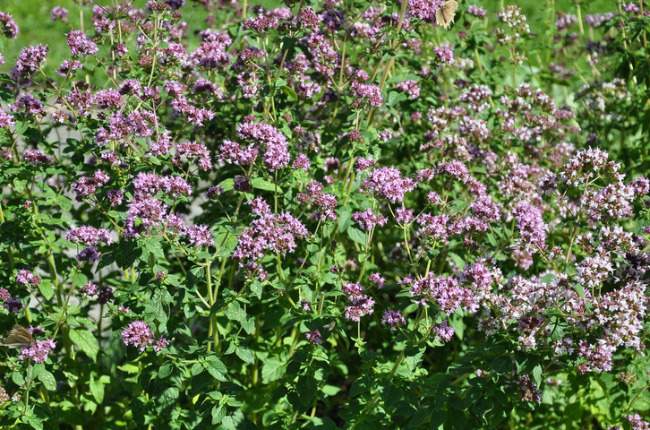 Oregano is a hardy perennial in zones 5 and up, depending on the variety. It can also be grown indoors. Many attractive cultivated varieties are available, but if you want to use oregano for pain control, look for the least-cultivated species. Research has found that wild, uncultivated varieties contain the highest amounts of carvacrol and thymol. How to Use: Oregano is easily added to a variety of dishes or teas. You can also try applying an oregano poultice to an inflamed area. Peppermint oil has been shown to help with digestive pain, such as irritable bowel syndrome, due to its ability to relax muscles. It can also help reduce headache pain when applied on the forehead, or fibromyalgia pain. 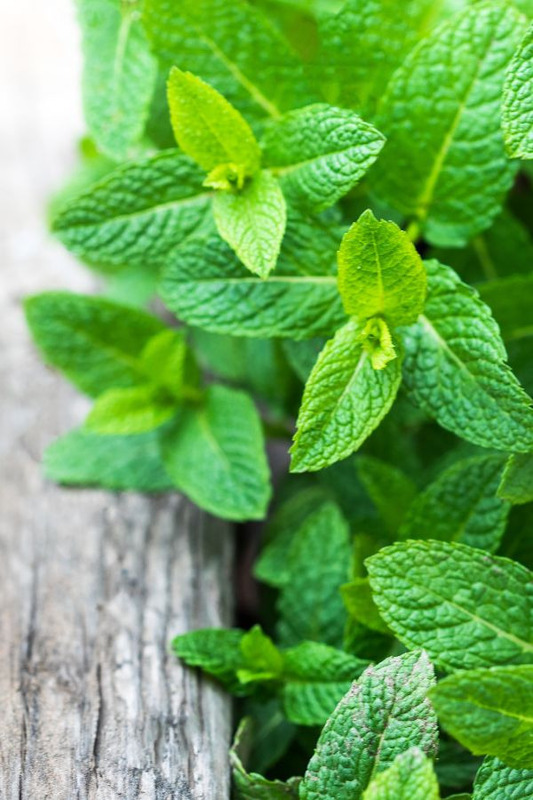 Many studies have used peppermint essential oil, but using the leaves directly is another option. Peppermint is a vigorous, perennial plant that spreads quickly. 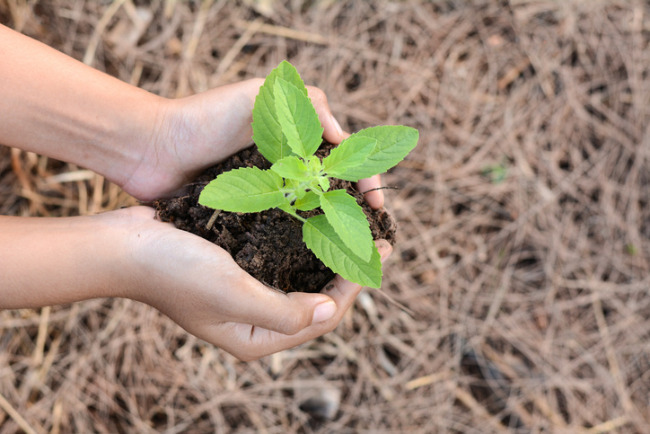 If you’re planting it in your garden, it’s recommended to plant it in a large pot sunk in the ground to prevent it from spreading. It does best in moist, rich soil and it can be harvested anytime throughout the growing season. How to Use: Peppermint makes a unique addition to sweet or savory dishes, and peppermint tea is a classic drink. A peppermint poultice of crushed, fresh leaves can be applied to a headache or other painful area. Peppermint essential oil can also be applied to painful regions, but always mix it half and half with a neutral oil before putting it on your skin. Wild opium lettuce is a common weed in many parts of the world. It’s been used as a pain reliever since ancient Egyptian times. Research suggests that the sap of wild opium lettuce contains pain-relieving compounds that act similarly to ibuprofen. Although, toxic side effects have been experienced with wild opium lettuce, so research how much you can safely consume before experimenting with this plant. You can grow wild opium lettuce from seed. You can also collect it from the wild if it grows near you, but make sure you know how to identify it correctly first. 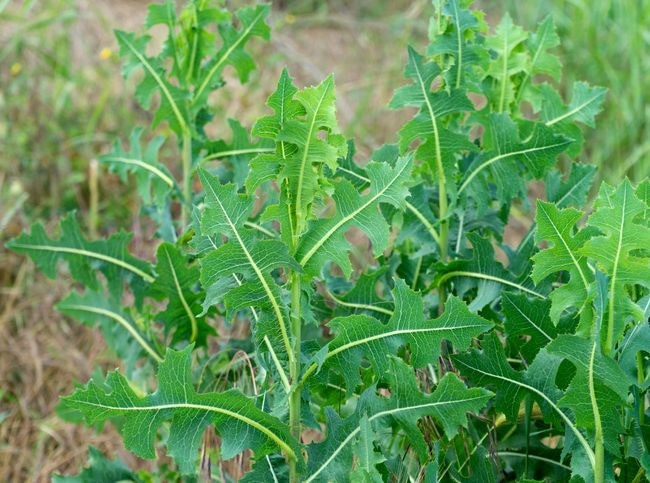 Practical Self Reliance has some excellent details on how to identify wild opium lettuce, as well as other precautions to take into account. How to Use: The sap of wild opium lettuce is the most medicinally active part, so eating fresh leaves and stems would potentially be the most effective for pain control, or extracting the sap to consume.